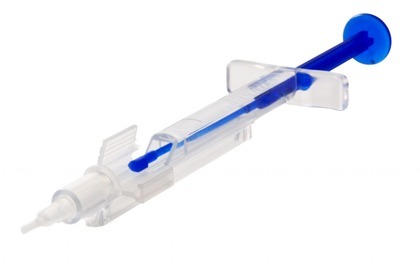 IOL Injectors | medicalalyko Throughout our site you will find links to external websites. Although we make every effort to ensure that these links are accurate, up to date and relevant, Alyko cannot take responsibility for pages maintained by external providers. Please read carefully their own Cookies and Privacy notices or conditions of browsing their sites. May we ask you to report any external links that would not work to info@alykomedical.com. 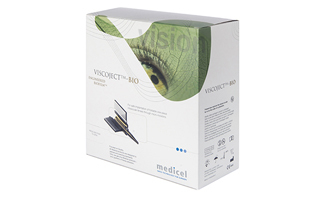 VISCOJECTTM-BIO - The latest technology coupled with Swiss precision helps the surgeon to work more accurately and therefore more safely and efficiently. When using the new VISCOJECTTM-BIO System the surgeon has complete control throughout the entire lens injection process. Complications during implantation are therefore a thing of the past, as are postoperative problems such as corneal distortion as a result of incision stretching and the resulting problems of wound healing. 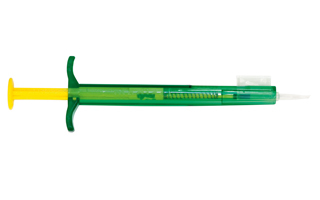 It is used with FineVision (Micro F, < 25D) & Micro AY IOLs and allows injection through ≥1.8mm incisions. The new ACCUJECTTM – system represents total reliability for safe and effective lens injections. The compact design with integrated cartridge of the fully single-use ACCUJECTTM system enables a simple, predictable loading and positioning of any lens. This allows the surgeon and O.R. personnel to load any lens in the same simple manner. The ACCUJECTTM system is designed for 1- and 3-piece lenses for incision sizes of sub 2.8 to sub 2.2 mm. It is used with FineVision (Micro F, ≥ 25D), FineVision (Pod F), FineVision Toric (Pod FT), PodEye, iPure and Ankoris. 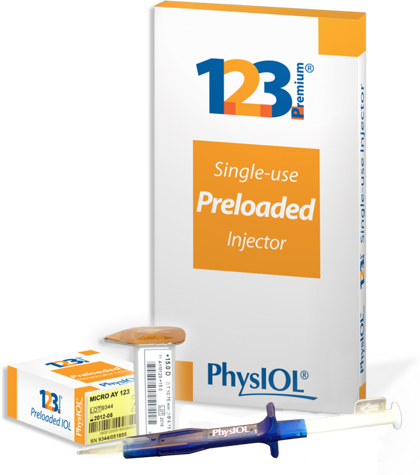 Physiol preloaded Injector 123+ to be used with Micro A & Micro AY monofocal lenses. Also with MicroPure hydrophobiv Monofocal IOLs.